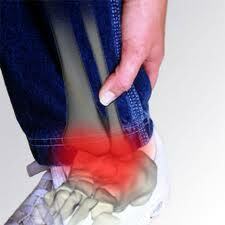 Living with chronic ankle pain? measures often results in suggestions for surgery. Alternatives to ankle surgery in these situations may call upon options for regenerative medicine procedures. Regenerative medicine encompasses a variety of realms in which the primary aim is to apply an emphasis on repair of tissue rather than yield to the timetable of natural degeneration or ankle joint arthritis. Repair may manifest in many ways including attempts to stop or alter the inflammatory process that on a cellular and structural level is where degeneration begins. Previous drug based therapies were ineffective in halting this progression towards joint wear and tear. Prior trauma is a significant risk factor for the future development of arhtritis. The local cellular responses that occur after initial joint trauma are being studied to develop initial treatment responses that may alter this progression from the beginning, effectively changing joint destiny. Platelet-Rich-Plasma (PRP) and Stem Cell Therapy are being pursued by athletes in acute injuries, people suffering from chronic ankle problems and arthritis or as an alternative to surgery. Chronic ankle pain is being rethought. 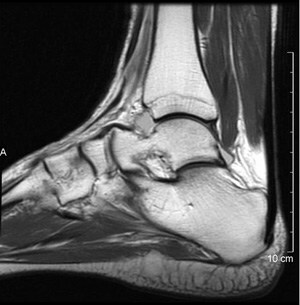 What was once felt to be aa simple ankle sprain may have unseen cartilage damage that may slowly erode and damage the ankle joint. MRI scans can see traumatic injuries that were not identified on routine x-rays. As newer treatment methods replace old ones, repair may look to your own body’s healing response as an alternative to ankle joint surgery, fusion, and ankle joint replacement. Biological joint replacement that incorporates PRP and Stem Cell Therapy may be a medical spectrum, with treatment that evolves as you age, not as you wear out. Dennis M. Lox, MD, serves patients in the greater Tampa Bay area, including, Clearwater, St. Petersburg, Tampa, New Port Richey, Sarasota, Orlando and Spring Hill. He has been pleased to accommodate the needs of patients throughout Florida, the United States, the Western Hemisphere, and Europe, as well. Located in the 33765 and 33765 areas, our offices can be reached at (727) 462-5582 (Clearwater). Call to schedule your visit today.